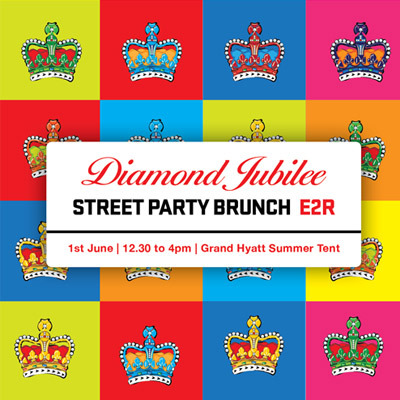 Urbanevents are delighted to invite you to the Diamond Jubilee Street Party Brunch on Friday 1st June, 2012 at the Grand Hyatt Summer Tent. Contact Urbanevents on +971 4 445 6842 for more details. Tables of 10. Price from AED 150 – AED 450 per person. 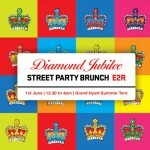 Includes Welcome drink, British buffet, beer, wine & soft drinks, entertainment.